This view is towards the bridge and many buildings nearby have gone. 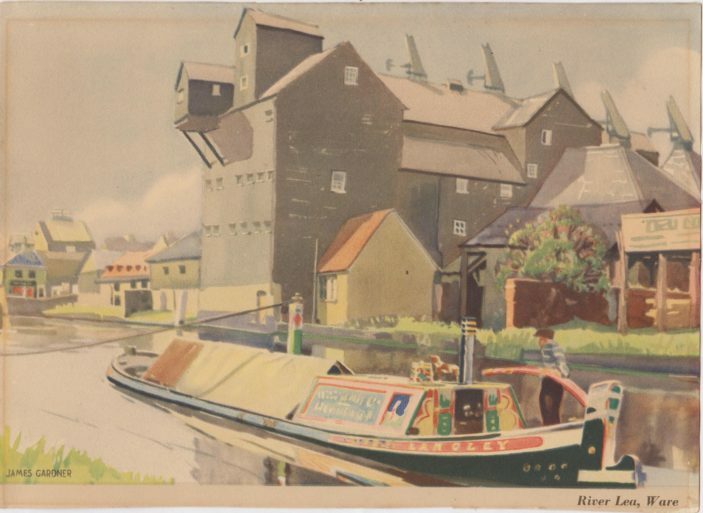 It was probably painted in the 1930s and shows the grain dryer of Henry Page’s maltings which fronted Star Street and later burned down. What remained of it became Deans Furnishers, which in turn burned down in 2017. To the left is The Victory PH which was demolished in the 1950s.